What Does The Perfect Instagram Post Look Like? Windows Cortana is a major leader in the modern revolution of digital assistants. Alongside Google Now and forerunner Siri from Apple, these digital assistants are changing the way users are searching, and are shaping the world of SEO as we know it. Conversational and voice-based queries are becoming the norm, searches are jumping between online and offline content, and peripheral functions are starting to enter the landscape. Until recently, it looked like there would also be “blurred lines” between individual digital assistants and search engines themselves, but now Microsoft has drawn a line for Cortana that may influence how digital assistants develop from here on out. For a long time, Cortana was capable of using any third-party search engine to facilitate your search. For example, you could fire up Cortana and have it use Google Chrome and Google Search as a means to fetch online results. As of last week, you can now only use Cortana in conjunction with Microsoft’s latest browser, Edge (a replacement for Internet Explorer), and of course, Microsoft’s own Bing search. Users can still use any browser they wish as the default on their Windows 10 device and can search using any assistants or tools they prefer. However, if they’re using Cortana, Edge and Bing are the only possible conduits. This is the official story. 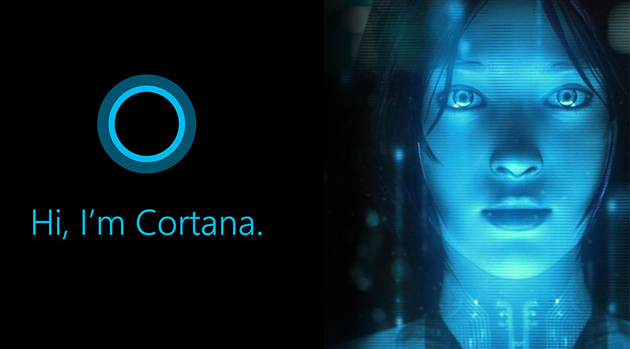 Microsoft wants to maximize the Cortana experience for its users. But if you read between the lines, it’s not hard to see what game they’re really playing. It’s no secret that Microsoft has been fighting a losing battle on the web browser and search fronts for years, with Bing playing second fiddle to Google and Internet Explorer being the laughingstock of the Internet. Now, with Edge and Bing developing to respectable levels, Microsoft needs to fight hard to win more user loyalty. The best way to do that is by embedding them into an experience that many users have already become reliant on—Cortana’s assistant search. First, there’s a limited range of user choices available now. Some degree of choice is present, of course—as Microsoft made clear in their recent post, users can still change the default web browser of their Windows 10 device (though there’s no option for changing the default search function). Still, whenever users call upon Cortana for their search needs, any results they click are going to take them to Edge and Bing, even if they’ve selected Chrome as their go-to browser. For users with history, bookmarks, and preferences already loaded into another web browser, this can be a frustrating experience.Changing default settings is also complicated, as pointed out by author Danny Sullivan; changing the default settings for a Windows 10 device, for Cortana, and for Edge are all complicated procedures. One could easily speculate that this was done specifically to encourage more users to use only Microsoft products. After a brief period of search engines starting to meld together, it would seem that this is a step in the opposite direction. Though there are more competitors in the field, especially with digital assistant options in play, the major players are still trying to accumulate dedicated users who only rely on one set of tools and digital resources. So what comes next for the world of search engines and digital assistants? For starters, don’t expect the competition to settle anytime soon. Microsoft, Apple, and Google will all fight hard to retain their users and prompt them to use as many branded products as possible, from hardware to operating systems to individual browsers and apps. The lines drawn between devices and tech are only going to become more rigid. Eventually, this will probably lead to a confrontation—someone is going to get ahead of the others, and the remaining competitors will fade away. This could take years, or it could take decades—and by that time, search will probably be turned on its head once again. One interesting development from this segmentation of branded tech products is that search is likely to evolve on more differentiated paths. Rather than all tech growing together along similar paths, we may be presented with a diversity of different directions. It will be on us as users and marketers to determine what sticks.